Hi Guys! Today I was wearing a totally casual and simple look with this warm vintage sweater. Hope you have a great weekend! Olá a todos! Hoje usei um look completamente casual e simples, com esta Camisola Vintage bem quentinha. Espero que tenham um óptimo fim de semana! Lovely look! All details are super! Looks great, I love that necklace! Love it! You really have a nice blog girls! I'm following now :-). Hope you take a look at mine too! look giríssimo, adoro esses sapatos! Thank You Francesca! Thanks also for the following, let´s keep in touch please! Lovely blog as well . Thank you so much Dear! Those words are really nice, we really appreciate them! Oh I really love that necklace! What a great way to dress up a sweater! Beautiful outfit simple but very chic! Love your sweater and the collar is the perfect accessory! Apesar de simples, é um look lindíssimo! 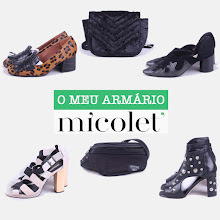 =) Por vezes há que apostar em outfits mais minimalistas! O colar dá-lhe um toque com muito glamour! aw in love with the necklace:)!! I love the necklace and the shoes! Que bom querida Rute :) Fico contente! this is a 3x1 great Blog! I really love the necklace!! ADORE the shoes!! are they from this season? please say yes! Thank You Pepa :) No, actually these shoes were from two years ago. But you can find ones similar this season. really cool, simple and chic look! I love all de outfit!!!! Thank you for that Dear!! Nice blog and post! I think I will be here more often, I'm your new follower! Don't forget to check out my blog&facebook page&youtoube channel! Great post... Cool photos... I love your blog. Can we follow each other on GFC? I'm your new follower. Awesome! Following you on Bloglovin, GFC and Facebook too!!! El collar es una monada, me encanta. hi girls !!!! Such an amazing blog !!! thanks for comment on mine, because I've never seen yours and now I love it !!! sure we can follow each other, I start right now and I wait for you ! Big Italian Kiss !!! Thank you for your lovely comment on my blog and sure we can follow each other! I love this look! kisses! Thanks for commenting on my blog and following! Now a follower on gfc, facebook and bloglovin! I'm in love with your beautiful necklace. Lovely look,thank you for follow my ! Adoreiii este outfit, tão simples mas tão bem conjugado. Continua a seguir-nos! Novidades para breve! Me encanta el look! Sobre todo los zapatos, son preciosos!! Great blog, my dear. What would you say about following each other?